A cautionary tale directed mainly at badgers but also of use to humans. 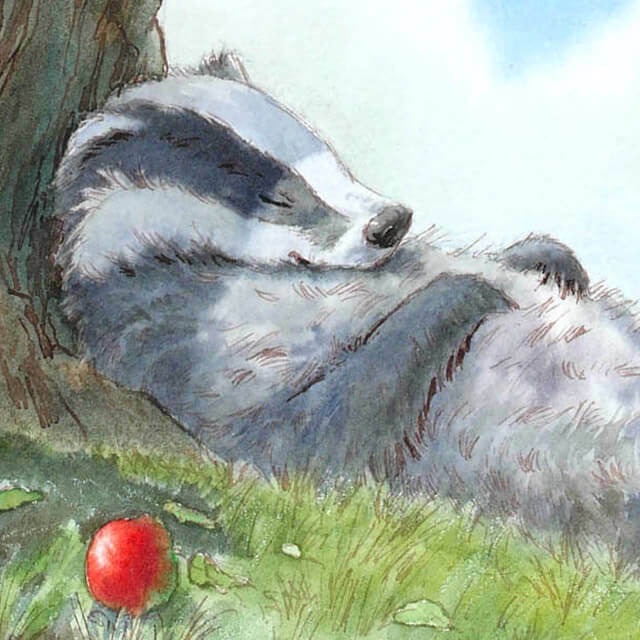 A cautionary tale directed mainly at badgers but also of use to humans – beware of sleeping under apple trees, especially when the children are about! Cliff’s illustrations take you into a world where anything seems possible. 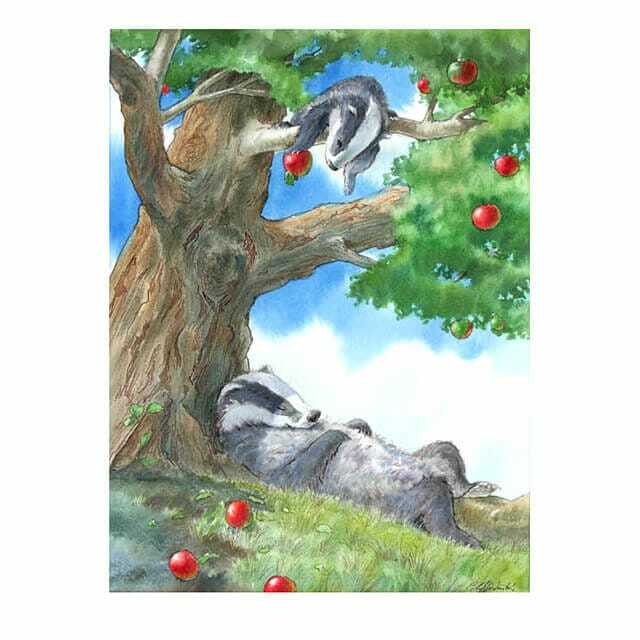 But often there is truth behind the playfulness – young badgers really are adept at climbing trees. Some adults retain the ability too. The first hint of a creative future appeared when Cliff's mum received a phone call from his teacher - 'I think your son will be an artist...' She went on to explain that the class had been asked to draw a fox - Cliff's drawing was described as the only one that didn't look like a box! He was 5. Schooldays were tolerated through gazing out of windows longingly, with the desire to run back home to explore the safety of the natural world of his home on the Sussex coast. At long last, the years produced a degree in Illustration and a love of matching images with words. Thus Cliff began to explore the more scary concrete world of London in search of possible commissions. There followed a few years' period of straight rejections and, 'it's lovely work but not quite right for us..' until one golden day when his idea for a children's book was accepted. The subsequent publication 'When the World Sleeps' was rewarded with runner-up for The Mother Goose Award and Cliff's commercial career began in earnest. Ideas flowed, commissions came in and it was increasingly difficult to keep the desk tidy. Along with children's books, artwork was created for editorial, magazines, posters, greetings cards and advertising. Another fine day dawned with a phone call from a publisher describing the need for cover illustrations to a seven book series. The books, they said, were about a character called Harry Potter. Cliff''s artwork for books two and three of the original series have become that for which he is best known and have made his illustration work highly sought after by collectors and the like. To gaze at the myriad forms, colours, textures, contrasts, movements and patterns of the natural world with a still mind is where we enter the realm of the deepest connections with our authentic selves. The images hope to reveal this inner often-hidden connection.